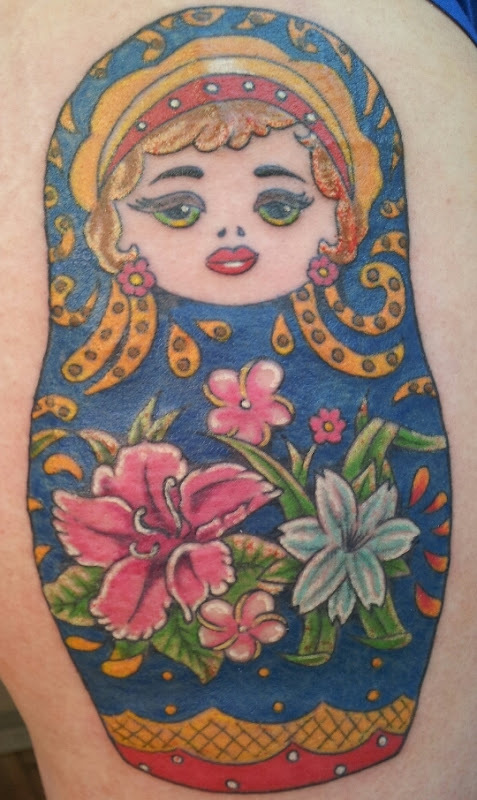 So, this is Christi's babushka tattoo. She had it finished today. It's done by Royston Chapman of Chapman's Art Emporium & Tattoo Studio. I must admit, I'm a little in love and a whole lot jealous.